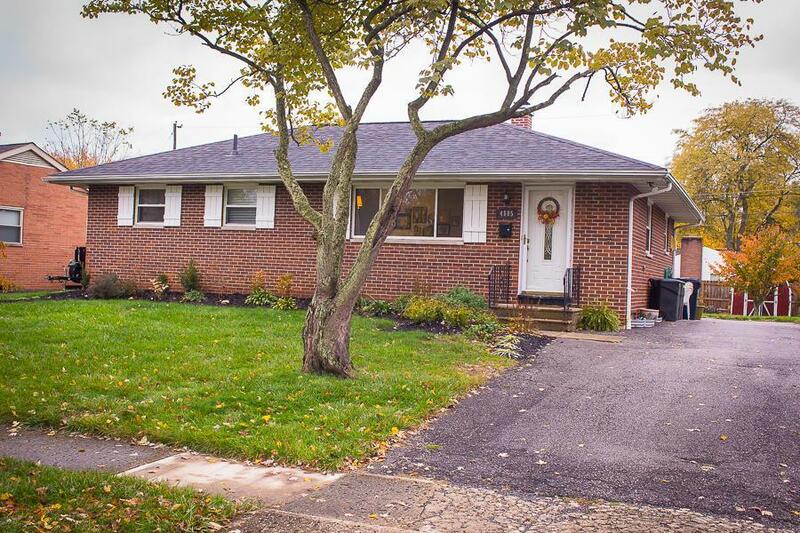 Cozy and Updated One Story Home near the heart of Hilliard! Loads of natural light and open layout. Very stylish updates!! Quartzite kitchen countertops, stainless steel appliances, gas range & white apron cast iron sink!! All appliances less than 2 years old. Gray Shaker-style kitchen cabinets. High quality laminate flooring in kitchen and living area. Trendy lighting. New 30 year dimensional Able roof (2016), new furnace and AC (2017), and new hot water tank (2018). White vinyl-sided replacement windows. Full and partially finished basement with rec space and spare room. Basement has workshop area too. Very conveniently located to shopping, Old Hilliard and walking distance to Graeters! Nothing to do but move in and enjoy!